Peacefully with her loved ones by her side at the Queen Elizabeth Hospital on Wednesday, August 8, 2018 of Marjorie Helen MacInnis (nee Pound) of Charlottetown in her 90th year. Wife of the late John MacInnis. Loving mother of Anne (deceased infant), Frank (Cathy), Mary Jane Howlett (Cecil), Sandra Bruce (Stephen), Stephen (Jane Ledwell), and Andrea MacInnis (Craig Bradley). Proud Nanny of Jennifer MacInnis, Ryan MacInnis (Alison), Anna MacInnis, Sam MacInnis and great grandmother of John MacInnis. Marjorie will also be sadly missed by her special friend Winston Jenkins. 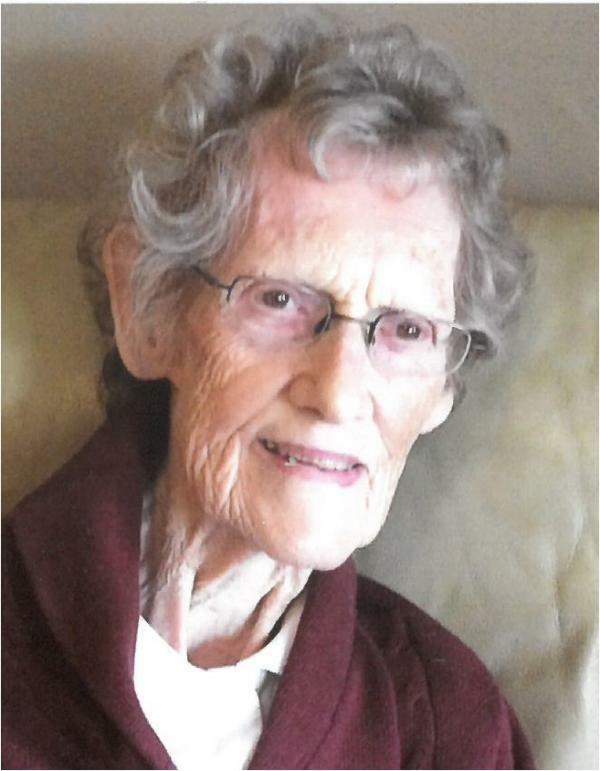 She is the last surviving member of her immediate family being predeceased by her siblings, Gladys Wedlock, Fred Pound and Nancy MacEachern. Resting at the Hennessey Cutcliffe Charlottetown Funeral Home until Monday, August 13th ,then transferred to St. Pius X Church for funeral mass at 10 a.m. Interment will follow in the Roman Catholic Cemetery. Visiting hours will be held on Sunday, August 12th from 5:00 to 8 p.m. If so desired memorial contributions may be made to the Queen Elizabeth Hospital Foundation or the PEI Humane Society. On-line condolences may be made at www.islandowned.ca.